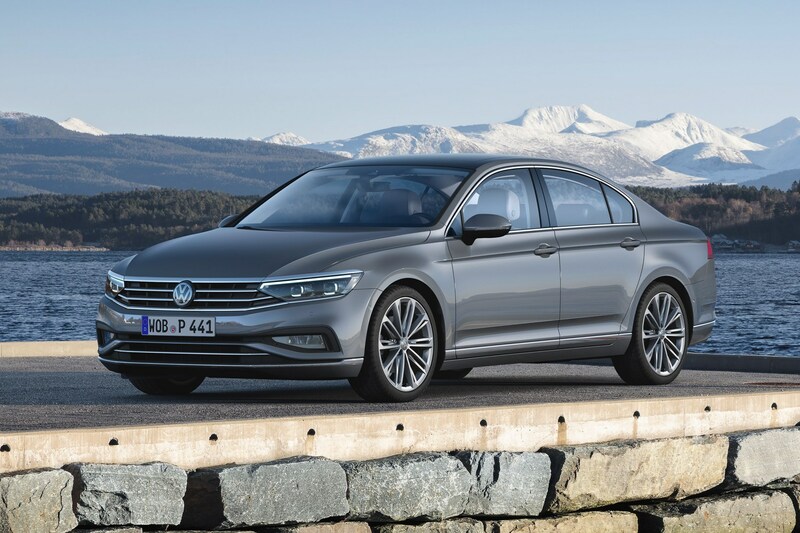 VW has made a comprehensive update to its Passat exec car, overhauling the engine range, tech list and giving the exterior design a bit of a tickle, too. Please do try your best to stifle your yawn. 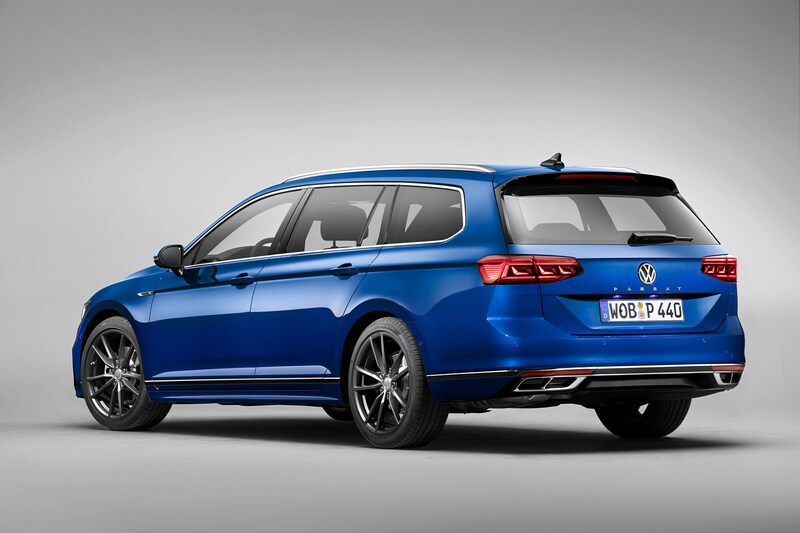 Wolfsburg says 12,450 Passats were sold in the UK in 2018, with the Estate out-stripping the saloon 2:1. It’s still primarily a proper fleet car, with around 85% of them going to the company car market. There’s been a bit of light tweakage to the design, but nothing ground-breaking – it still looks like the more strait-laced sibling to the Arteon. The front end looks a little frownier, the front LEDs have been tweaked, the rear light clusters feature a glitzy start-up procedure like a lot of modern Audis. Inside, it’s an even more difficult challenge for the budding Spot the Difference-ist. There’s a revised steering wheel with capacitive touch sensors on the button areas (very Mercedes-ish), digital instruments and a wider and glossier infotainment system without any physical dials (much to the dismay of the CAR office). The clock that split up the vents in the dashboard is gone, replaced with a backlit ‘Passat’ logo, in case you forgot the name of your repmobile that your company’s fleet department had a hand in paying for. Well, Volkswagen has smushed its driver assistance tech together under the ‘IQ.Drive’ banner. The key new part is ‘Travel Assist’ which is an incremental upgrade on the ‘Predictive Cruise Control’ we tested in our Tech section. It blends the aforementioned psychic (read: uses GPS to gauge speed around corners or approaching junctions) cruise with adaptive cruise that reacts to traffic and signage around it and lane-keep tech to partially automate your commute, and can perform it up to 130mph. IQ.Light LED Matrix headlights first seen on the upgraded Touareg feature here, too, as does an upgraded voice assistant that can be activated by saying ‘hello Volkswagen’ (like Merc’s MBUX). 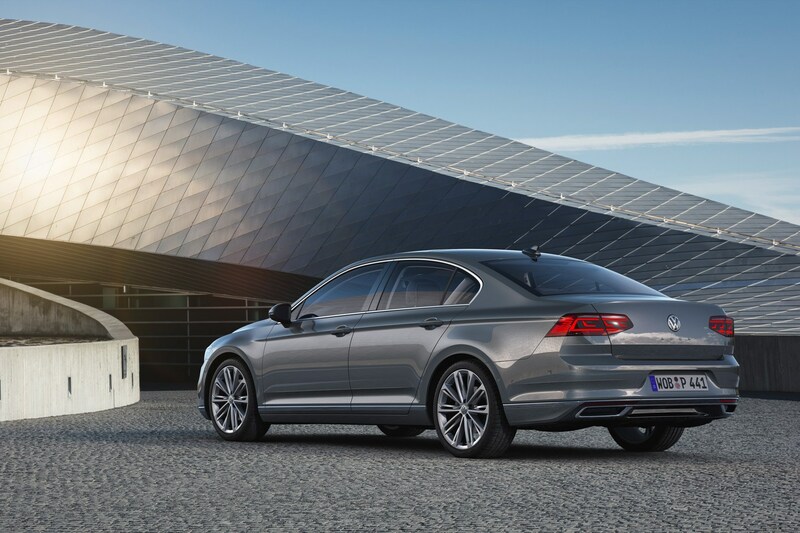 VW is also expanding its We program of open-source programs activated through the online infotainment. 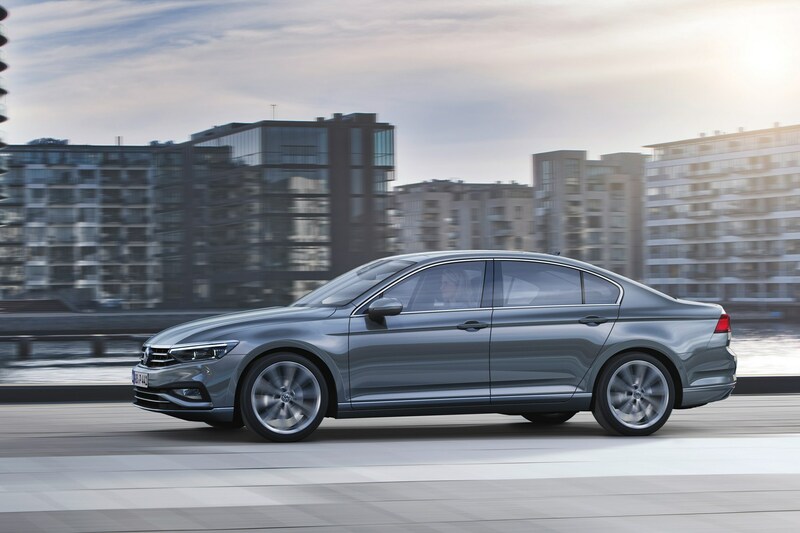 VW says that the Passat is ‘open to new ideas’ as the brand has developed a digital platform which allows brands and organisations to make programs on. We Park, for example, is a ‘cashless parking’ app and We Deliver means you can have online orders placed in your car, by allowing delivery companies temporary access. 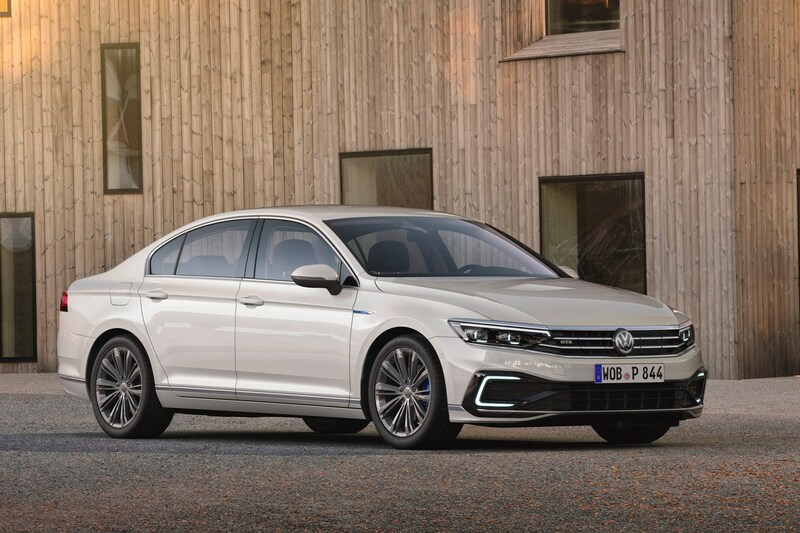 The 2019 Passat has eight powertrains in total: three petrol engines, four diesels and the GTE. 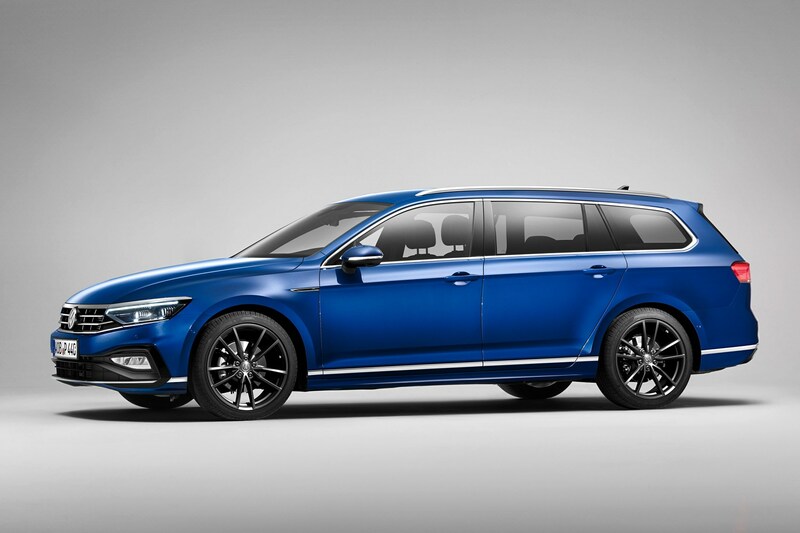 Highlights include a new 148bhp 2.0-litre TDI ‘EVO’ diesel – a first in a new generation of diesels from VW – and a 268bhp 2.0-litre petrol. The GTE uses a 1.4-litre turbo linked to a battery and motor, for a total system output of 215bhp. 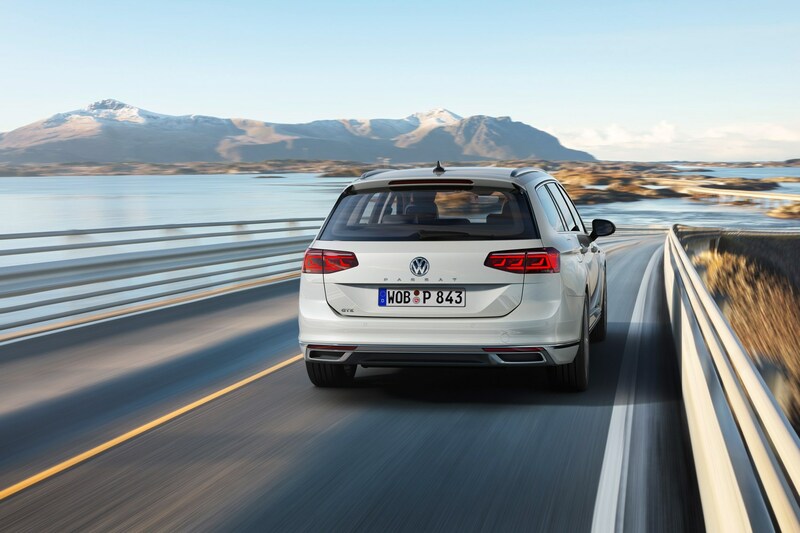 VW claims it’ll do 34 miles on electric power alone under WLTP test conditions. In the UK, the trim structure will be SE, SEL and R-Line for the ICE cars. GTE and GTE Advance make up the variants for the hybrid. 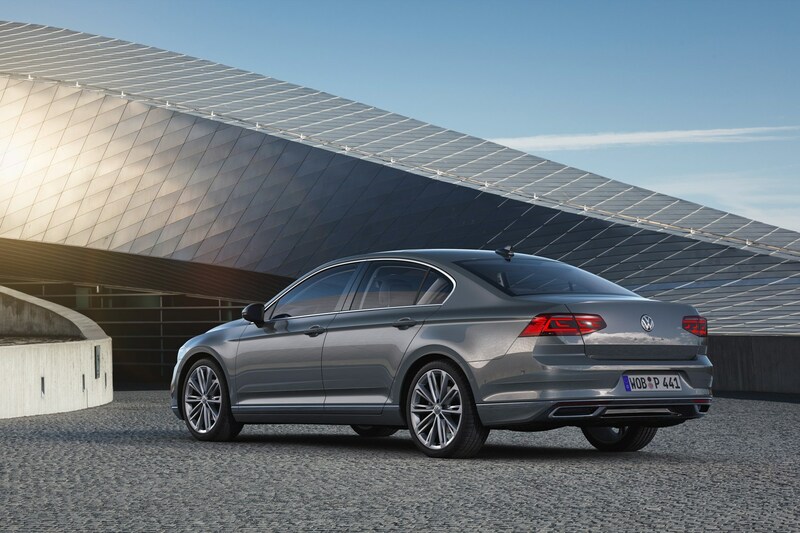 You can order a new Passat from June 2018. Prices aren’t known yet but a small rise of around £1,000 over the outgoing generation is expected – we’re predicting a starting figure of under £25,000 for a basic one. 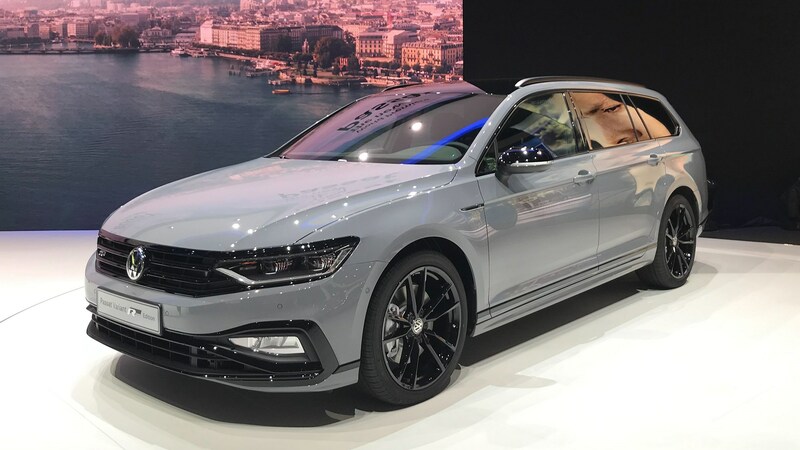 As for the GTE, Volkswagen tells us that it will be around £2,500 cheaper than the outgoing model, so expect that to come in at around £35,000. Delivery times for the GTE are expected to be around 3-4 months after the initial launch.